It probably comes as no surprise to you that 48% of all real estate searches stem from a mobile device. In the future, especially, this statistic is sure to increase significantly as mobile app development companies and developers continue to innovate and push the boundaries of what is possible technologically. Being able to keep this demographic on their toes with new technology is just one reason why mobile app developers are able to cater to millennials, but below are a few more. As a generation, millennials kind of have a bad wrap as being “lazy” and “entitled.” Well, we like to say that millennials are easy-going and self-aware. They know what they want, when they want it, and no one can really fault them for that, right? When it comes to real estate, though, millennials definitely know what they are looking for, which is why it’s important to incorporate plenty of images into your property listings. These images should also be eye-catching and attention-grabbing. Because almost half of all real estate searches are done via a mobile devices, it’s important for real estate professionals to be mindful of features that are mobile friendly. A reputable mobile app developer will understand this. It’s never a good idea to cut corners when building an app. You may find that you get exactly what you pay for when it’s not done correctly. Providing the perfect real estate listings for millennials is really a matter of knowing that particular audience. Mobile app development companies are doing extensive research in terms of what millennials are looking for in a home, how they like to find that information, where they are more inclined to look, etc. This allows them to help give you what you need as a real estate professional to target this particular audience. According to LVB.com, “when millennials decide they want a house, they become educated.” Many mobile app development companies understand that millennials don’t have all the time in the world to search for information. The ability to provide information quickly and efficiently via a mobile app will keep this audience coming back again and again. Also, communication falls under this category. Be ready and able to respond immediately to millennial buyers. Some real estate agents even attest to texting these buyers, so having a communication feature within your app can go along way with this demographic. If you’re a real estate professional who is seriously looking for a mobile app developer that can give you exactly what you need to target millennial buyers—we have you covered. Here at SnApp Real Estate, we are an experienced real estate mobile app development company that promises to build you high performance real estate mobile apps. 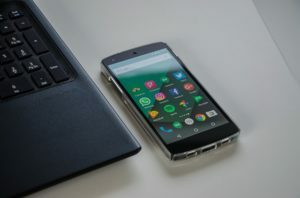 Our apps will help you streamline your business and connect with clients easier, not to mention they are truly affordable. This entry was posted in millenials, millennials, Mobile App Development, mobile app development company, mobile development companies and tagged mobile app development, mobile app development company. Bookmark the permalink. ← Who Is Your Mobile Application Developer?